New Delhi, Apr 12 (PTI) Lok Sabha Speaker Sumitra Mahajan will lead a parliamentary delegation to Mongolia next week to attend a meeting of the Asia-Europe Parliamentary Partnership (ASEP). Lok Sabha MPs Rajendra Agrawal and Heena Vijay Kumar Gavit of BJP, Dr Shrikant Eknath Shinde (Shiv Sena) and Butta Renuka (YSR Congress) are part of the delegation along with Rajya Sabha MPs Shantaram Naik (Congress) and KC Tyagi (JD-U). Their visit will be for six days from April 17 to 22. ASEP, a parliamentary forum, is linked to the inter- governmental dialogue that has been established between Europe and Asia to consider political, economic and cultural issues. The Asia-Europe meeting is part of the overall Asia-Europe partnership process. It serves as a forum for building inter- parliamentary contacts, exchanges and diplomacy and promoting mutual understanding among the people and countries of Asia and Europe. ASEP meetings are normally convened on a regular bi-annual basis alternatively in Asia and Europe before the ASEM Summit. Mongolia is hosting the 11th ASEM Summit of Heads of State and Government (ASEM-11) on July 15-16 this year. The 10th ASEM Summit of Heads of State and Government was held in October 2014 in Milan, Italy. The 11th ASEM Summit will also be the 20th anniversary since the Asia-Europe Meeting dialogue process was inaugurated in 1996 in Bangkok, Thailand. April 15 (MONTSAME) Mongolian Youth Federation (MYF) held the latest "ASEM Hour" media briefing on April 14, announcing that they are working as the national coordinator of 7th Model ASEM 2016. Organized on July 6-10 in Mongolia, this will be one of the side events of the 11th ASEM Summit that focuses on youths and students. The Model ASEM aims to improve youth participation in dialogues of solving social challenges, diplomacy, and negotiations; therefore, the event is expecting over 150 youths from ASEM member states to convene in Ulaanbaatar, and form a consolidate resolution, which will in turn be contributing to the development of the Summit Declaration. Co-organized by Asia-Europe Foundation (ASEF), Ministry of Foreign Affairs (MFA) of Mongolia, and the MYF, the event will include panels, seminars, bilateral meetings and cultural activities, under the themes encompassing political, socio-cultural and economic issues. The organizers emphasized on Model ASEM's discussions, seminars and debates enabling university professors and students to work in teams and to develop their debating, consensus-building and leadership skills. Ulaanbaatar, April 14 (MONTSAME) The ASEM Summit preparation national commission ran this Wednesday its 22nd meeting. The gathered discussed reports on the preparation course for the AEP9, a plan for volunteers who will work for the Summit, the ASEM Villa complex and "Mongol town" matters. Planned for this April 21-23 in the UB city, the 9th Asia-Europe Parliamentary Partnership Meeting is expected to gather 156 delegates from 32 countries. The preparation has completed for the ASEP9, said B.Boldbaatar, secretary-general of the Parliamentary Office. The meeting also heard a report about cooperating with the European Broadcasting Union (EBU) in a press center that will cover ASEM Summit news. Ulaanbaatar, April 13 (MONTSAME) B.Boldbaatar, the Secretary-General of the Parliamentary Office and head of the working group of preparation for the 9th Asia-Europe Parliamentary Partnership (ASEP9) Meeting in UB, heard reports on ongoing preparation at a meeting on Wednesday. He reminded related officials that proper focus must be on their collaboration. As of today, the ASEP9 has registered some 150 delegates from 32 countries and the European Parliament to participate. Parliament Speakers of India, Italy, Thailand and Pakistan and Deputy Speakers of 11 countries such as Australia, Indonesia, Finland, Hungary, Poland, Vietnam and Spain will come. The 9th Asia-Europe Parliamentary Partnership (ASEP9) Meeting is to take place this April 21-22 in Ulaanbaatar. Other meetings will also run within the 11th ASEM Summit in Ulaanbaatar, for instance, the ASEM Senior Officials' Meeting (SOM) May 12-13, the 12th ASEM Finance Ministers' Meeting, and the workshop on Asia-Europe Food Safety and Farmers--in June. Ulaanbaatar, April 14 (MONTSAME) Within the 11th ASEM Summit to be held this July in Ulaanbaatar, its model Summit-2016 will run this July 6-10 in the capital city. It was reported on Thursday at a press conference at the MONTSAME agency's info-center. The Union of Mongolian Youths (UMY) will be the general organizer of the event, other organizers are the Asia-Europe Foundation (ASEF) and the Mongolian Ministry of Foreign Affairs. The Model Summit is supposed to bring together 150 delegates of 51 countries. The Model ASEM Summit is one of the biggest events for youths ahead of the ASEM Summit, aiming to provide youths with understanding and knowledge about the ASEM Summit and to increase youths' interests in ASEM. A registration of the model Summit's participants will continue until April 17. As of today, 180 students have applied for the event, 20 of them will represent Mongolia. April 14 (gogo.mn) The first stage of Professional Skills Challenge among chefs and cooks of 47 hotels (and their restaurants) to accommodate the ASEM delegates was held on April 8 in "Ikh Tenger" Complex. 40 participants from 12 hotels competed with breakfast set preparation in this initiative of ASEM's Catering, Entertainment and Safety Working Group. "We asked the chefs to use materials common in Mongolia, and make an innovative dish that represents modern Mongolian breakfast," reported D. Buyandelger, President of Mongolian Master Chefs' Association (MMCA). He said, "Chefs can contribute immensely in impressing the delegates and promoting Mongolia." This skills competition followed a 5-day intensive training on multicultural cuisine dishes, and is part of an effort to condition the cuisine skills in high quality. The training was co-organized by MMCA, Ministry of Food and Agriculture (MOFA), and Center for Food Production and Service Development (CFPSD). "The previous training comprised of modules on breakfast, Asian-European cuisine, Mongolian cuisine and Seafood cuisine. The next three stages will be on Mongolian cuisine, International cuisine, and Seafood cuisine, respectively," said Sh. Erdenekhuu, President of CFPSD. He also reported the hotels have been covering the training and competition costs for their chefs. The next stages of the competition are expected in May, June and July. The final winner of the competition will win a prize of 10 million MNT ($5,000). 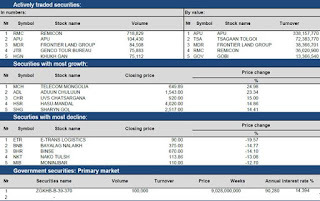 April 14 (Proactive Investors) Aspire Mining Ltd (ASX:AKM) now has a 12.85 million tonne JORC resource at its 45% owned Nuurstei Coking Coal Project in Mongolia. Aspire's 45% ownership is through its 50/50 Ekhgoviin Chuluu Joint Venture (ECJV) with Noble Group (SGX:N21), which currently has a 90% interest in Nuurstei. Aspire has the option to purchase Noble's 50% interest in the ECJV through to March, 2017. Of the 12.85 million tonne resource, 37% sits in the Indicated category and 63% sits in the Inferred category. The JORC resource captures the 1.6 kilometre long coal seam which dips from surface down to 200 metres in depth. The majority of the resource, 59%, is located between the surface and 100 metres depth with the remainder, 41%, between 100 metres and 200 metres depth. Aspire is focussed on the exploration and development of metallurgical coal assets in Mongolia and is the largest coal tenement holder in the Orkhon-Selenge Coal Basin in northern Mongolia. Aspire currently wholly owns the large scale, Ovoot Coking Coal Project, the Jilchigbulag Coal Project and the Myngan Exploration Licence. Through its 50% ownership in the ECJV Aspire holds an interest in Nuurstei and the Erdenebulag Coal Project. Northern Railways LLC, Aspire's Mongolian rail infrastructure subsidiary is responsible for activities associated with the commercialisation and future development of the 547 kilometres Erdenet to Ovoot railway in northern Mongolia. Nuurstei is a low capital cost starter project to operate in conjunction with the much larger Ovoot Coking Coal Project located 160 kilometres to the west. The ECJV completed its 55 hole exploration drilling program at Nuurstei in October, 2015. Washed coal quality results indicate the presence of a good hard coking coal with strong plastic properties such as swelling, fluidity and dilation. A coal such as this would ideally be blended with other materials to realise a premium grade coke. Subject to further drilling work and sample analysis, Nuurstei has potential to be developed as a shallow open pit mining operation with a low strip ratio. Other coal projects in the area will be assessed for consolidation with Nuurstei. There is a modest opportunity to increase the resource to the west and north west. The ECJV will apply for a mining license over Nuurstei which will give the ECJV tenure over the property for 30 years. Nuurstei is ten kilometres from a town from which there is a paved road to rail infrastructure. Subject to commencement of construction of the Erdenet to Ovoot railway in 2017, a lower cost and higher capacity transport route will become available by 2019. The Noble Group has 100% of the marketing and supply chain rights at Nuurstei. While tonnages in the JORC resource categories are modest at Nuurstei, it presents as a commercial scale pilot project for logistics and market development for Ovoot and other coking coals from northern Mongolia. · Further geologic work, including a drilling program, is planned once assay results from additional nearby mineralised zones have been received and assessed. April 18 -- Xanadu Mines Ltd (ASX: XAM – "Xanadu") is pleased to announce that it has received new high-grade gold results from trench channel sampling undertaken at the Stockwork Zone II discovery at its 90% owned Oyut Ulaan copper-gold project located within the Dornogovi Province of southern Mongolia, approximately 420km southeast of Ulaanbaatar (Figure 1). Following the previously reported discovery of multiple zones of potentially significant outcropping quartz-sulphide vein mineralisation (see XAM's ASX announcement – 2 March 2016) at the Oyut Ulaan Project, the Company has now completed initial trenching and detailed trench channel sampling of the three parallel epithermal lode structures that occur within 1.5km of each other (Stockwork Zone I, Stockwork Zone II and Bavuu Zone; Figures 2 and 3). New samples received from trench sampling at the Stockwork Zone II vein reported here have delivered exceptional gold results with assays up to 145g/t confirming the existence of continuous sub-outcropping highgrade gold mineralisation. The systematic sampling within this zone displays remarkable continuity along the entire 33m strike of the exposed vein and structure (Figure 4). Sampling over 33 continuous metres along strike (subparallel) orientations to the vein supports a conclusion of very continuous gold mineralisation within the vein. No conclusion regarding width and grade of the mineralised vein can be drawn from this data. Xanadu's Chief Executive Officer, Dr Andrew Stewart, said "The rapid delineation of high-grade gold, in multiple structures, at surface and now confirmed through trenching is an outstanding achievement by the Company's exploration team. The nature of the high-grade gold vein target type and weathering environment is such that surface exposure is limited, however because of the en-echelon mineralisation style it is possible that veins repeat frequently with depth. Abundant ancient pitting found in the trenches indicates the surrounding altered volcanic rock may also contain gold mineralisation. Although early-stage these untested possibilities and the high gold grades of surface rock samples and the first trench results combine to suggest that the targets may form potentially mineable bodies." April 15 (UB Post) In an interview with News.mn, Executive Director of Erdenes Oyu Tolgoi D.Ganbold spoke about Oyu Tolgoi's underground mine project and emphasized that starting in July the company will hire hundreds of Mongolians for the mine's expansion. He said that the underground mine's development launched in December 2015, after the signing of a financial agreement for the mine's expansion. "Some work even started before signing the agreement. The Mongolian side pressured for intensifying the underground mine's development by March. However, negotiations with 14 international banks have started recently. Everything is ongoing in accordance with our plans." Ganbold said that the process of spending financing from the International Finance Corporation has started. "Other banks will distribute financing according to their timetables. Some of the financing will be deposited next year. We will spend the money over a couple of years. It doesn't mean that all of the money will be distributed at once. We need to understand everything properly," underlined Ganbold. He said that the underground mine's operations have commenced and the company is in the process of ordering necessary equipment. "Journalists always ask only about when the financing will be deposited, so do politicians. When any of the big projects move forward, they always pay attention to when the financing will be distributed to the state budget," Ganbold claimed. He underlined that OT's underground mine development will be carried out for at least two to three years. He emphasized that when Oyu Tolgoi starts hiring Mongolian workers in July, that the Mongolian economy will start seeing benefits from the project. The government claims that the interest rate for the low interest housing loan program will be lowered to five percent once one billion USD in financing for OT has been issued. D.Ganbold stressed that only politicians and journalists create such expectations among the public. "Politicians make statements to attract attention from many people, and then journalists spread the news. Politicians and journalists greatly influence society, but they can't be talking about financing distribution without understanding economic principles," noted Ganbold. "Even though there are reports that Mongolia's economy has grown by one billion USD every year following the launch of the OT mine, it doesn't mean that the money went into Finance Minister B.Bolor's pocket. I don't know how to explain it more clearly," he said. "We could say that Mongolia doesn't produce anything. When we purchase necessary equipment for the mine operations being carried out at depths of greater than 1,000 meters for 500 million USD, it means that not even one USD remains in Mongolia. The money will come to Mongolia in taxes once the equipment crosses the Mongolian border." Ganbold said that first stage of investment for the underground mine will be spent on equipment. "This is a business that requires many pieces of equipment. We will start purchasing products from domestic companies. Many domestic companies will be responsible for sand, gravel, concrete, and cement supply, and for food and clothes for workers. It can be understood that a tremendous amount of money will come to Mongolia. We all know that OT's first project was greatly beneficial for us. At that time, the nation's economy grew by 17 percent, and within less than ten years, almost everyone bought cars and many new buildings were constructed. Not only thanks to Oyu Tolgoi, but Tavan Tolgoi and other mines created under the Long-named Law contributed to the economic growth. Unfortunately, we were lifted by our small success and everyone became an environmental ranger. As a result, we did stop the operations of many mines over the last few years. But we don't have anyone to complain to. We were all involved in this issue somehow, no foreigner came to Mongolia and instructed us. Around 60 to 70 percent of today's crisis was created by us, Mongolians," stressed D.Ganbold. April 14 (MSE) On 9 April 2016, MSE listed "Barilga Corporation" JSC held shareholders meeting and decided to distribute dividends to its shareholders MNT733.00 per share. April 14 (MSE) On 8 April 2016, MSE listed "Atar-Urguu" JSC held shareholders meeting and decided to distribute dividends to its shareholders MNT300.00 per share. Dividends will be distributed to it shareholders within 31 May 2016. April 14 (Bank of Mongolia) On the Foreign Exchange Auction held on April 14th, 2016, the BOM has received selling bid offers of USD 25.0 million in a rate between MNT 2013.00-2014.00, buying bid offers of USD 0.7 million in a rate between MNT 2013.00-2013.65 and buying bid offers of CNY 3.7 million in a rate with MNT 311.00 respectively. The BOM did not accept any bid offers. On April 14th, 2016, the BOM has received MNT Swap agreement buying bid offers equivalent to USD 14.5 million, MNT-CNY swap agreement buying bid offers equivalent to CNY 3.0 and USD swap agreement selling bid offers equivalent to USD 20.0 million from local commercial banks respectively and the BOM accepted the MNT swap agreement buying bid offers of USD 14.5 million and MNT-CNY swap agreement buying bid offers of CNY 3.0 million. April 13 (BoM) Auction for 52 weeks maturity Government Treasury bill was announced at face value of 15.0 billion MNT and each unit was worth 1 million MNT. Face value of 15.0 billion /out of 20.5 billion bid/ Government Treasury bill was sold at discounted price and with weighted average yield of 14.318%. April 14 (news.mn) The International Monetary Fund (IMF) has forecast that Mongolian economic growth in 2016 will be 0.4%. This is slightly below the recent World Bank's forecast of 0.8%. International analysts explain the sluggish forecast as a reflection of the global fall in the cost of mining products upon which Mongolia so much depends. Last year, international experts were more optimistic – the World Bank forecast Mongolian economic growth would be 2.3% in 2015; the Ministry of Finance expected was more optimistic still, putting it at 3%. The World Bank's prediction, however, was spot on - economic growth was 2.3%. The state budget for 2016 anticipates economic growth as 4%. April 15 (Mongolian Economy) As of the first three months of this year, total foreign trade turnover stood at USD 1,558 million, which is a decrease of USD 221.5 million, or 12.4 percent, decrease compared to the first quarter of last year. More specifically, exports fell by USD 118.8 million and imports by USD 102.7 million. During the reporting period, export volume exceeded that of imports by USD 359.9 million for a surplus in trade balance. The reason why exports decreased by 11 percent has to do with total exports of mining commodities having fallen by 12 percent, although exports of industrial products have increased by one percent. Although the volume of export commodities increased, the revenues of this category decreased by USD 124.7 million due to falling prices. Due to the rising prices of livestock commodities exports, exports in this category fell by USD 1.9 million, and agricultural exports decreased by USD 10 million due to fall in the export of rapeseed. However, exports of industrial products increased by USD 14.5 million, mainly due to the growth of machinery and equipment exports. In March, the average price of an ounce of gold reached USD 1,244 on the global market, which is a four percent increase from its previous month. Prices of refined copper and iron ore reached USD 4955, which is a 17 percent decrease for copper and 4 percent decrease for iron ore compared to the same period of the previous year, while it is an eight percent increase for copper and 19 percent increase for iron ore compared to the previous month. The export price of coal at the border reached USD 30, which is a 38 percent decrease from the same period of the previous year and 13 percent decrease from the previous month. Foreign trade imports decreased by 14.7 percent due to an 8.8 percent decrease in imports of consumer goods and 9.6 percent decrease in investment products. Both the volume and price of oil products imported fell, resulting a 44 percent or USD 69.3 million decrease for the good. As for trade with neighboring countries, 62 percent, or USD 966.4 million worth of trade, was conducted with China, while 10.9 percent, or USD 169.5 million worth of trade, was conducted with Russia. April 13 (news.mn) In accordance with the "Law on Statistics", all legal entities, which are operating in Mongolia, must be counted every five years; subsequently, a census is taking place. This, the 6th census to be held, began on 1st April. During the previous census, which was held in 2011, some 65,200 entities were counted. Statisticians had anticipated that this number would have doubled; so far the General Authority for State Registration and Statistics has registered considerably more - over 150,000 entities. The census will last until the end of this month. April 14 (gogo.mn) As of second week of this Apr, prices for 1kg mutton with bones is at MNT 7095 while prices for 1kg beef with bones is at MNT 8080. Compared to the previous week, prices for beef with bones have increased by MNT 110 while prices for beef have increased by MNT 325. Beef is priced the lowest at Harhorin market at MNT 7800 and it priced highest at Max supermarket at MNT 9050. Compared to the previous week, prices for mutton is priced lowest at Harhorin at MNT 6800 while it prices highest at Bumbugur and Mercury markets at MNT 8500. April 13 (UB Post) Meat prices have skyrocketed once again. In just ten days, prices for all types of meat suddenly increased by 1,000 to 1,500 MNT per kg. Mongolians have had the luxury of eating plenty of meat as meat prices have been relatively low in recent months. The cost for a lamb carcass dropped to 3,500 MNT per kg at the beginning of 2016, surprising consumers with long awaited good news. But, it seems that consumers got used to these low prices, resulting in their immediate frustration and complaints when news of rising meat prices broke out. In truth, meat prices are returning to what they were three years ago. Prices actually aren't going through the roof. Now, a kilogram of goat meat costs 5,500 MNT, a kilogram of lamb costs 7,500 MNT, and beef costs 8,500 MNT per kg at the Khuchit Shonkhor food market, which is known to be the cheapest market in Ulaanbaatar. If you can remember, meat prices were 500 MNT higher two years ago than current prices. There was a time when the cost of a kilogram of beef exceeded 10,000 MNT at Khuchit Shonkhor. Some people explain the sudden price increase as the "natural course of life". Meat prices surge every spring in Mongolian markets. The reason is very simple. "Prices have increased due to a scarcity of meat" is the normal response meat suppliers give. This time is no different, and meat suppliers are giving the same explanation. The state used to stock up on meat to prevent a sudden price increase resulting from a low supply. The state didn't reserve meat this year, causing the extreme rise in meat prices. Still, the public is full of hope for a price drop. From 2013 to 2015, Mongol Bank used to run a program to stabilize the prices of consumer goods. Meat was reserved all year round and supplied to the market in spring when there's a low supply of meat. Mongolia used to reserve 14,000 tons of meat annually, managing to overcome spring's low meat supply. Also, the state enacted a policy to increase the livestock population and increase provisions that impact meat prices. In 2015, Mongol Bank handed over its price stabilization program for consumer goods to the government, and the state took charge of preparing meat reserves and regulating the market. The Ministry of Food and Agriculture also developed the Meat Program to support domestic meat suppliers and exporters with concessional financing of 100 billion MNT. Had the program been approved, Development Bank would have provided concessional loans to people in the meat industry, not to mention stocking up on a significant amount of meat. A representative from Mongol Bank stated that meat prices wouldn't have increased so rapidly if meat had been reserved, and pointed out that the Mongolian Meat Association should have enforced the price stabilization program. Mongolia typically faces a meat shortage from April to June. Experts say that Mongolia will not encounter a meat shortage this year as a result of herders slaughtering a larger than average number of livestock last fall as a precaution against a severe winter. The Ministry of Food and Agriculture announced last year that herders were planning to slaughter 15 million livestock, and that 10 million livestock would fully supply domestic needs. The ministry also supported exporting 100,000 tons of meat from the remaining five million livestock. However, the amount of processed meat from livestock didn't meet domestic demand, making it impossible to export a large amount of meat. So where is all this processed meat now? Meat from five million livestock is probably enough to feed the whole population of Mongolia for half a year. As stated by the ministry, a relatively large number of livestock was slaughtered for meat and most of the meat was not exported, which means that Mongolia shouldn't be facing a meat shortage at the moment. If there's no shortage, meat prices shouldn't be rising. According to rumors being spread at trade centers, meat distribution centers have a lot of meat reserves. Vendors believe meat prices will decrease in the near future. It's unclear where and how much meat is stored. Ts.Tsetsegdari, who is in charge of meat products and production at the Ministry of Food and Agriculture, spoke about this matter. "There isn't any statistical data on this. We will provide more clarity once the Statistical Office releases agricultural statistics. We will make the amount of available meat known after checking meat warehouses," he said. Within the framework of the program to stabilize prices for consumer goods, a loan of 80 billion MNT was provided for building warehouses. Currently, the capacity of warehouses for meat storage exceeds 80,000 tons, meaning warehouses have adequate capacity. However, the price of meat depends on whether or not meat is being stored in warehouses. Meat distribution centers in Mongolia have their own system and structure, and determine the operations of the meat market. For many years, authorities have been considering closing down distribution centers and transferring the control of the market to producers, but it hasn't happened yet. This is mainly related to state policy. The state doesn't consistently attempt to eliminate the distribution center system. The Ministry of Food and Agriculture claimed in 2010 that it would open 12 meat processing plants that meet sanitation standards and enable herders to skip the process of selling their livestock to meat distribution centers. Six years have passed since then, but not a single meat processing plant has been built. The ministry announced that it would complete the project through a loan from the Chinese government amounting to one billion USD. Recently, the ministry announced that the financing will be provided soon and that 12 new meat processing plants will be built around Mongolia. Establishing these plants will undoubtedly destroy the system of distribution centers. Distribution centers greatly impact meat prices. Herders sell their livestock to distribution centers, and after butchering the meat, it is sold to different distribution centers affiliated with trade centers. Afterwards, the meat is sold to retail or trade centers, and finally reaches consumers. The price increases at every stage. A kilogram of beef currently costs 11,500 MNT at the most expensive trade market in Ulaanbaatar, Mercury, and it costs 8,500 MNT per kg at the cheapest trade center, Khuchit Shonkhor. As you can see, there's a difference of 3,000 MNT thanks to the number of stages the meat has to pass through to reach each trade center. According to a study, meat prices increase by 3,000 to 4,000 after going through four to five distribution centers, until it's sold to the final consumer. If meat processing plants are built, meat can be supplied through one simple stage before being sold to consumers. This will also make it possible to maintain cheap meat prices. However, we have no choice but to reserve meat to prevent even higher meat prices at the moment, because meat processing plants haven't been established. April 14 (news.mn) The Democratic Party will have its National Consultative Council meeting this Saturday (16th April). The same day, the National Commission of the Civil Will Green Party is planning to hold its meeting at the Corporate Hotel. Several political parties including the National Labor Party, the Mongolian National Democratic Party and the Ekh Oron Party have proposed to join or cooperate with the Civil Will Green Party for the upcoming election. Therefore, during their National Commission's meeting, the Civil Will Green Party will make their final decision. A meeting of the Mongolian People's Party will take place on 18th April to decide whether to join with the Mongolian People's Revolutionary Party or not. April 15 (news.mn) Last Tuesday, the director of the Independent Authority Against Corruption (IAAC) N.Ganbold submitted a letter to the President requesting his dismissal. On Wednesday 13th April, the Justice Standing Committee accepted his proposal and passed it on to Parliament for discussion; this took place on Thursday. Subsequently, 43 Members of Parliament accepted Mr Ganbold's resignation. The IAAC director's full term of appointment is six years. N.Ganbold has been working as director of the IAAC as a director for just over four-and-a-half years. Ulaanbaatar, April 15 (MONTSAME) A Deputy Speaker of parliament and head of the State Commission on Management and Organization of the Rehabilitation of Politically Repressed L.Tsog Friday received Mr Daniel Schmucking, the permanent representative of the Konrad Adenauer Foundation to Mongolia. Expressing thanks to the Deputy Speaker for an audience, Mr Schmucking briefed about a forthcoming conference themed "Rehabilitation of the politically-repressed in Mongolia and the Federal Republic of Germany: Conclusion, lesson and measures" to be organized by the foundation on April 25. This conference will gather relevant officials of Germany and Mongolia to deliver reports about analysis in the political repression and state measures for rehabilitation, Mr Schmucking said. Mr Tsog underlined importance of the upcoming conference for boosting the collaboration between the commission and the Konrad Adenauer Foundation. "The conference is expected to attract experienced people from the Berlin-Hohenschonhausen Memorial, and it will provide participants with opportunities to present their works and exchange experiences," he said. He added that the commission is ready to back other events within the conference. Present at the meeting were D.Dambasuren, the secretary of the commission; P.Byambatseren, an advisor to the commission; and other officials. Ulaanbaatar, April 15 (MONTSAME) The Minister of Industry D.Erdenebat gave a report on a policy of the industrial sector and some ongoing works, at the "Hour of Minister" weekly meeting on Thursday. Size of import tax on some kinds of products has been altered by a governmental resolution. Regulations of import tax have been performed in products of labor safety clothing and foot wears which are used in the industrial sector, the Minister said. Such regulations have been made in products of concrete structure materials as an intensive development of construction material productions in Mongolia, he added. The Minister pointed out a place has been selected to erect oil refineries. By a governmental decision, the oil refineries will be constructed in Khentii aimag's Bor-Ondor soum, and it will have a capability of processing 2.3 million tons of oil a year. Moreover, it is about to announce a tender on building a 540 km oil pipe between Donrod aimag and Khentii aimag's Bor-Ondor, he added. At the meeting, the Industrial Minister also reported about a course of works to formulate feasibility studies for a copper-purifying factory and metallurgical plant, a credit for small- and middle-sized business and a national programme on supporting export. April 13 (UB Post) The Independent Authority Against Corruption (IAAC) and the Division against Economic Crimes at the Criminal Police Department is investigating MP Kh.Battulga on suspicions of organized money laundering, and conducted a five-hour search at the offices of two of his companies at Bayangol Hotel Office building, where news outlets, MPs, celebrity athletes, and others gathered outside the building in protest against the investigation. The IAAC and police officers conducted searches at the offices of Tumen Khishgten, a company founded to build a Chinggis Khan monument and tourist destination, and Bayalgiin Khuvi, an infrastructure investment company. News.mn reported that MP Kh.Battulga was with MPs L.Erdenechimeg and D.Ganbat and journalist L.Munkhbayasgalan when police officers entered his office at approximately 3:00 p.m. MP L.Erdenechimeg said that Kh.Battulga's assistant had been arrested the previous morning, on April 10. Five armed special police officers began guarding the Bayangol Hotel Office entrance at approximately 4:00 p.m. and oversaw entry and exit. The special police force allegedly demanded that the companies' employees turn their phones off to cut off outside communication concerning the investigation. MPs J.Batzandan, B.Garamgaibaatar, G.Uyanga, and M.Zorigt were joined by Mayor E.Bat-Uul outside of the building, saying they saw news of the investigation on social media. While journalists and cameras not already in the building were not permitted inside, many news outlets quickly gathered outside the entrance to report on developments in the story and reports were being broadcast live on television and online. MP J.Batzandan said, "The police investigation is getting out of hand. I have information that they're conducting an illegal investigation. All investigations must abide by the law. I came here to see the investigation process." MP B.Garamgaibaatar said there was nothing else they could do except watch the investigation being carried out. "The arrival of Members of Parliament doesn't create an advantage. We can't make any statements now because we don't know what's going on," said B.Garamgaibaatar. Mayor E.Bat-Uul tried to enter the building but was denied access. After leaving the building at 4:56 p.m., Advisor to the Speaker of the Parliament on Mortgage and Construction Affairs and General Secretary of the Mongolian Democratic Union G.Baigalmaa said she believed the investigative procedures were directly related to the election. "This might even be related to disabling the MP's right to run for office," G.Baigalmaa said. Rumors spread that Mongolian Democratic Union members were going to be arrested in connection to a case involving the alleged misappropriation of funds for the construction of new railway. MP G.Baigalmaa drew a connection to the arrest of MP Kh.Battulga's former assistant, G.Tuvshinjargal. "This is all for political purposes. You can see, investigate, and check whether we laundered the money; everything's open in the media. You all saw Tuvshinjargal getting arrested. She was held in custody for 13 days but was released without being interrogated once. If we had really committed a crime, there was enough time to come up with evidence," said G.Baigalmaa. Kh.Battulga's daughter B.Namuun said, "We're just really living in a society where the law is no longer the law. They said they were only going to conduct a search. Then, what a big car they brought. Everyone who has opened their mouths about Oyu Tolgoi is being pressured. The reason behind all this is obvious. It's probably methods to make him not participate in the election." People who introduced themselves as the first members of the Mongolian Democratic Union, as well as athletes led by Mongolian Judo Association coach O.Baljinnyam and Olympic judo medalist N.Tuvshinbayar, gathered outside the Bayangol Hotel Office. Judoka Kh.Tsagaanbaatar said the athletes were afraid for sports officials who were in the building and involved in the investigation. "We received the news at around 4:50 p.m. and came here instead of practicing. The Olympics are approaching. Our athletes are leaving for the Asian Championships tomorrow. It's an important competition to gain Olympic points. There are other important competitions apart from this. I'm surprised that law enforcement is doing this to the Head of the Mongolian Judo Association at this important time. This situation is causing a lot of stress and fear. I hope our law enforcement works according to the law. We athletes are confident that our head didn't commit any illegal activities," said Kh.Tsagaanbaatar. There was public criticism concerning the appearance of what was reported to be 500 police officers called in to support the search for financial records. Spokesperson for the General Police Department B.Baatarkhuu made a statement at approximately 6:00 p.m. and said, "MP Kh.Battulga is suspected of being associated with organized money laundering involving a large amount of money for the Sainshand Industrial Park project and the New Railroad project. We're conducting financial investigations at two companies of his. We didn't assault the MP and we don't intend to arrest him either. We sent support to prevent chaos that might arise during the investigation." At 7:34 p.m., police officers arrived and tried to enter the building to get their investigators out safely. A number of athletes had blocked the building's entrance and refused to let police officers enter or exit the building. At 7:40 p.m., special police officers eventually exited the building with three boxes of confiscated documents and one computer hard drive. MPs Kh.Battulga, L.Erdenechimeg, and D.Ganbat were allowed to exit the building at that time. "It's unfortunate the railway case is now involving private companies. I'm sure the people who ordered this will be revealed soon. It's not a good thing to polarize the public. Thank you all," said Kh.Battulga, and he then went back inside the Bayangol Hotel Office. According to one source, the MPs who were with Kh.Battulga during the investigation went to the Parliament House afterwards to hold a closed meeting about the financial investigation. MP D.Ganbat said that law enforcement can't "disturb the peace" in this manner and added that all private organizations are protected under the Amnesty Law when being accused of financial crimes. "I headed the legal working group for the Amnesty Law. If there really is an issue, it would be subject to the Amnesty Law. Just stop making a big deal," the MP said. MP L.Erdenechimeg said the issue is all related to Tavan Tolgoi. "There are Tavan Tolgoi groups in all parties. The agreement which allowed the transfer of Tavan Tolgoi to foreigners was terminated and not signed. This is why this all started. If we don't solve the Tavan Tolgoi issue, this situation will continue," she said. The MP added that Kh.Battulga wasn't arrested because other people were present, and that at the time of the investigation they were discussing amendments to the Law on Elections to abolish the assignment of 28 seats in Parliament from lists of candidates submitted by political parties. April 15 (UB Post) Former heads of the Authority for Fair Competition and Consumer Protection (AFCCP) O.Magnai and T.Ayursaikhan have started an argument concerning revoked fines. Last week, T.Ayursaikhan said in an interview with local media that O.Magnai imposed fines and then revoked them soon after signing agreements with companies. In response to the interview, O.Magnai held a press conference on Monday and claimed that T.Ayursaikhan was the one who revoked big fines and took an example on NIK LLC's fine. O.Magnai said that he will sue T.Ayursaikhan for defamation. On Wednesday, T.Ayursaikhan held a press conference and presented evidence that allegedly supports that NIK LLC was fined and that he didn't defame O.Magnai. "When O.Magnai was the Head of the AFCCP, he imposed large amounts of fines on home owners' associations and other retail chains on the basis that they violated consumer rights and interests. He soon revoked them before a hearing and made an agreement," he said. During his press conference on Wednesday, he said that he will "take full responsibility for his words" because they're all facts. T.Ayursaikhan then showed documents where O.Magnai had imposed 268 million MNT in fines on MIAT and Genco Tour companies, 10 million MNT on Tsolmon Us Company, and certain amounts on other companies, including Khatan Suljee and Buyan LLC. "There were three big retail chains at the time. They were all imposed a fine for the same reason. During the hearing, all of them notified to resolve the violations and signed a settlement agreement that ordered the three stores to pay the fines without any dispute should the situation repeats itself," said O.Magnai. Last Monday, O.Magnai said during a press conference, "In 2012, NIK LLC was imposed a fine of 4.9 billion MNT for creating dearth of fuel without a basis. The AFCCP won in three court sessions, but the court ruled to reevaluate the fine amount based on price evaluations of A-92 and diesel fuels. I personally didn't want to resolve an issue involving huge amounts of money alone, and created a workgroup consisting of five people. I gave my position before the issue was resolved," he said. O.Magnai claimed that after T.Ayursaikhan took office, he withdrew NIK LLC's status as a monopoly, which led the fine to be revoked, and that he illegally fired his workgroup in charge of the issue. "T.Ayursaikhan is defaming me," said O.Magnai. On April 13, T.Ayursaikhan said that O.Magnai's statement on Monday was false. "Before I start the conference, let me make something clear. My interview was published just recently. Why is it that an interview I gave when I was the Head of the AFCCP published just now?" he asked. He added that he wasn't trying to defame O.Magnai in relation to the election. "Inspector J.Ochirkhuyag said he hadn't received estimation information again when I took this position. But J.Ochirkhuyag had received the fine information, and had the estimation already. It was found during investigation that he had hidden the facts. By law, court decisions should be implemented from the day it is ruled. It is proven by this that officials led by O.Magnai slowed this process down on purpose," T.Ayursaikhan added. "The original document was lost from the AFCCP. Since it couldn't be found, we decided to fine them as stated in the law. According to Article 27.2 of the Law on Competition, a company is to be imposed a fine of up to five percent of the enterprise owner's net worth. As NIK LLC had a capital of approximately 54 billion MNT, they were fined 2.3 billion MNT. The inspector who was working on this case coincidentally found the court material from the Administrative Court and gave it to me," he said. T.Ayursaikhan added, "When I took the job, government agencies decided to lay off 15 percent of the staff. Three people were laid off through this decision. When I took the job, three people resigned. One took a maternity leave and one left for a training." April 15 (UB Post) The public was sorely reminded of the 2012 arrest of former President N.Enkhbayar when the police and a Special Weapons and Tactics (SWAT) team was seen raiding the offices of parliamentarian Kh.Battulga's companies at Bayangol Hotel Office on April 10. Most people were disturbed to see a former President being escorted unceremoniously, carried upside down by masked special police in non-regulation attire. Friends and supporters of Kh.Battulga feared for exactly that scenario and gathered at Bayangol Hotel Office to prevent his arrest. The media and the public thought that Kh.Battulga was being arrested, but the economic crimes division and the Independent Authority Against Corruption (IAAC) claimed that they were only there to investigate Kh.Battulga's two companies – Tumen Khishigten LLC and Bayalgiin Khuvi LLC – and not to arrest Kh.Battulga. "There was a need to review the financial documents of Tumen Khishigten LLC and Bayalgiin Khuvi LLC in relation to the New Railway and Sainshand projects. These two companies are headquartered at Bayangol Hotel Office and we are searching the companies' offices with permission from the prosecutor. We are not here to arrest parliamentarian Kh.Battulga," said General Police Department spokesperson B.Baatarkhuu. Many on social media believed that the police and SWAT team were at Bayangol Hotel Office to arrest Kh.Battulga, and claimed that they couldn't conduct the arrest because many people gathered there to oppose their actions, including the national men's judo team. More than 40 judokas came in a hurry from the nearby National Olympic Committee building, where they were training, after hearing news that the Mongolian Judo Association's president, Kh.Battulga, was being arrested. To support this claim, local media was reporting that there were snipers placed at Gereg Tower near Bayangol Hotel, and some reporters questioned why it was necessary for the SWAT team to be involved in the confiscation of financial documents from private companies being investigated for a non-violent crime. The same issue was raised when N.Enkhbayar was arrested. TV9 broadcasted the whole thing, and the public saw the raiding of the former President's house from the inside. It left a bitter aftertaste, and people witnessed the brutality and excessive force used by law enforcement even when suspects are obedient and unarmed. State Honored attorney S.Narangerel told Chuhal.mn, "I saw the press conference given by the General Police Department. They explained that they brought the special forces to address the possibility of resistance when confiscating documents. This can't be. What does it mean when they use so much force just to confiscate documents from two regular companies? If this is the norm now, we can forget about human rights. This is fascism, a one-person tyranny." Kh.Battulga's assistant was arrested on the morning of the raid. So it was no surprise that hundreds of people gathered when the heavily armed five-hour search was taking place at Bayangol Hotel Office. The gathering also drew politicians and celebrities, including Members of Parliament J.Batzandan (Head of the Parliamentary Standing Committee on Petitions), G.Uyanga, and B.Garamgaibaatar (Head of the Democratic Party group in Parliament), as well as M.Zorigt (Minister of Roads and Transportation), Mayor E.Bat-Uul, former sumo grand champion D.Dagvadorj, and Olympic judo champion N.Tuvshinbayar. People from Bayankhongor Province, Kh.Battulga's electoral district, also came to support the politician. Bayankhongor resident N.Odnoo told Eagle News, "Over 500 vehicles left Bayankhongor [to support Kh.Battulga]. We will not lose our steadfast state representative this way." After the incident, Kh.Battulga gave a short statement to the press and people gathered at Bayangol Hotel Office, and claimed that the raid was part of a plot to discredit him, "They brought a lot of police on purpose, to make things difficult. They are trying to investigate my private companies over the railway issue. The mastermind behind this will be revealed soon." Kh.Battulga was to hold a press conference on the investigation yesterday, but was it postponed. Today.mn reported that Kh.Battugla held a "secret" meeting with Speaker of Parliament Z.Enkhbold, former President N.Enkhbayar, and former Prime Minister N.Altankhuyag on Tuesday night. According to Today.mn, the four reportedly plotted against President Ts.Elbegdorj to allow Parliament to appoint the head of the IAAC. The Justice Standing Committee discussed the resignation of the head of the IAAC, N.Ganbold, this week and passed it on to Parliament. As is procedure, the President is to propose a new head of the agency to Parliament. The IAAC is seen by his opponents as the President's tool for eliminating his political rivals. Lately, the President seems to have made a lot of enemies, including N.Altankhuyag and Kh.Battulga. The friction all allegedly stems from the Tavan Tolgoi coal project, Mongolia's biggest coal mine. During the search at Bayangol Hotel Office, parliamentarian L.Erdenechimeg said, "There are Tavan Tolgoi groups in all parties. The agreement which allowed the transfer of Tavan Tolgoi to foreigners was terminated and not signed. This is why this all started. If we don't solve the Tavan Tolgoi issue, this situation will continue." Hong Kong listed Mongolian Mining Corporation, which owns Energy Resources LLC and various other ventures in Mongolia and elsewhere, made a bid for the Tavan Tolgoi megaproject, but failed when it met opposition from Kh.Battulga and his friends in Parliament. Prime Minister Ch.Saikhanbileg and Minister of Mongolia in charge of megaprojects M.Enkhsaikhan, who are said to be "President Ts.Elbegdorj's men", made the agreement with Mongolian Mining Corporation in 2015. N.Altankhuyag recently said that the President was behind a conspiracy in politics to "sell off the nation". He was referring to the Tavan Tolgoi deal with Mongolian Mining Corporation, which is largely owned by foreign entities. He implied that his government was overthrown not because of declining GDP growth or poor foreign investment, but because he wouldn't give Tavan Tolgoi away to foreigners. In March, Mongolian Mining Corporation didn't make principal and interest payments on a 200 million USD loan facility and wasn't able to get a temporary waiver from banks, which sparked a crossdefault on its bonds. The company seems to be in a difficult financial position. Kh.Battulga and his associates believe that if Mongolian Mining Corporation had taken over Tavan Tolgoi, the project's approximately four billion USD investment would have been used to pay off its debts and the project would only end up adding to Mongolia's foreign debt burden. Kh.Battulga implied that because of Tavan Tolgoi, those who work for Mongolian Mining Corporation in Mongolian politics are trying to silence him by finding dirt in his past. He claimed that the investigation of his private companies started because they couldn't find anything illegal in his government ventures – the railway project and Sainshand industrial complex project. Amidst all this, parliamentarian D.Ganbat said that even if it is proven that Kh.Battulga's companies committed financial crimes, they would be pardoned through the Amnesty Law, and that there are no grounds to imprison Kh.Battulga. "I headed the legal working group for the Amnesty Law. If there really is an issue, it would be subject to the Amnesty Law. Just stop making a big deal," D.Ganbat said. Let's take step back and look at the bigger picture. The disunity in society, chaos, and excessive force used by law enforcement reminiscent of fascism that we are witnessing today is the curse of a resource-rich developing nation. But the people of Mongolia must not choose sides on this occasion, because any political force that dominates a nation eventually becomes too big and only works to serve its own interests. Mongolia has witnessed this many times over. This time, the people of Mongolia must be smarter. What we must do as voters and as Mongolians is to rationally think through what we want from our leaders, never lean towards one side or the other based on personality and influence, but support those who are most able to meet our demands and those who stand for what is right. The election is near, and the Tavan Tolgoi issue will carry on until then. Big issues, like the Tavan Tolgoi issue, are used as a catalyst for chaos by ambitious politicians to gain power. This time, let us demand an end to use of excessive force by law enforcement, injustice, and the tyranny of ruling parties from our election candidates. Let's demand better candidates who are able to serve the public's interests, rather than party or individual interests. Political parties are not the nation, and political candidates should realize this above all, and honestly evaluate whether they can bear this responsibility. 15 April, 2016 (Conventus Law) Allen & Overy has advised the joint lead managers of Mongolia's successful sovereign bond offering. 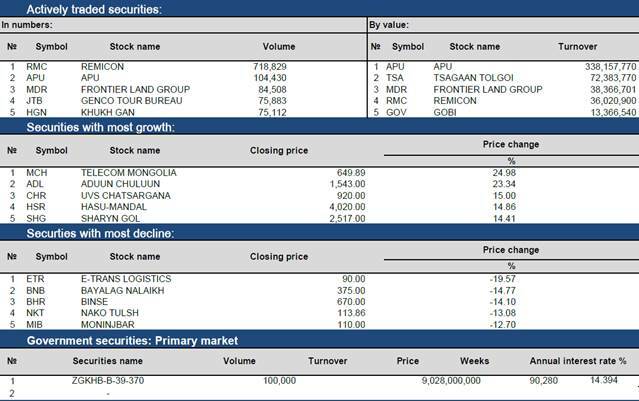 The USD500 million issuance, which closed last Wednesday, was done under the Government of Mongolia's Global Medium Term Notes Program (in respect of whose establishment Allen & Overy advised the arrangers). The bonds were sold internationally on a combined Rule 144A / Regulation S basis, with US qualified institutional buyers accounting for a substantial portion of the total demand. Credit Suisse, Deutsche Bank, ING and J.P. Morgan were joint bookrunners, and together with Golomt Bank and TDB Capital, acted as joint lead managers of the offering. The proceeds of the offering will be used to refinance indebtedness as well as to finance budget deficits and various projects including roads and infrastructure. Alexander Stathopoulos, a partner in Allen & Overy's US Law Group based in Hong Kong, led the A&O team and was assisted by counsel Gian Sambalido and associates Grace Yumul and Julia Cheung. Commenting on the transaction, Alexander said "We are very pleased to have assisted on this transaction, which highlights two key strengths we consistently deploy throughout the Asia Pacific region – the strength of our US-qualified capital markets team in supporting Rule 144A placements, and our market leading credentials advising on offerings by sovereign issuers." April 13 (just-style) British brand and noble yarn technology specialist Tengri is hoping to double the number of Mongolian yak herders it works with, amid growing demand for the fibre from the luxury fashion market. The company, believed to be the first to introduce Mongolian yak fibres from the Khangai region to the UK, is working to protect the herders' nomadic way of life via its prestige yarns and directional knitwear made from the fibres. This year it hopes to provide an additional 1,000 herder families with a sustainable income through its co-operative trading scheme, taking the total to 2,500 herder households. It has also launched a Crowdcube campaign to raise £100,000, which it says will offer investors a "chance to support environmental and social change in rural Mongolia." Plans include buying 10 tonnes of fibre from the nomadic herder communities, working with highly skilled British craftsman from heritage woollen mills in Yorkshire and Scotland for production, and investing in 'green tech' yarn development with textile researchers and textile technologists. The London-based fashion brand, collaborative and social enterprise has established a 'fairshare' business model with co-operatives in Mongolia, who supply its hand-combed fibres from the indigenous and semi-wild Khangai yak species. With most woollen fibres, Tengri estimates that 25% introduced to the industry as yarns, with around 75% by-product waste. In contrast, it says, it imports both the premium fibres as well as all waste fibres into the UK. Investments will allow further developments by textile technologists who are looking at innovative ways to make use of this fibre, including a range of green technologies, closed-loop systems, ballistic-based technology and waterless and toxic-free dyes made from locally sourced plants to produce sustainable dye products. Mongolian yak fibres and the nomadic way of life and future of wild animals are threatened by rapid industrialisation and desertification of the land, largely because of the intensive grazing of cashmere goats. This over-intensive grazing, coupled with the effects of climate change, is also in danger of leaving the global supply of cashmere under threat. The Tengri Noble Yarns collections offer a product that is naturally as soft as cashmere, 5-10 degrees warmer than merino wool, odour and water resistant, hypoallergenic and breathable, with a sustainable and 100% transparent supply chain. Tengri's Crowdcube campaign runs until 7 May 2016. April 13 (Oyu Tolgoi) Oyu Tolgoi held its Employee Recognition Awards last week, honouring six employees and contractors for their commitment to the company and support for their colleagues. The awards come after Oyu Tolgoi's Underground Project Financing was recently recognized in the Bloomberg TV Mongolia awards. The six winners from across the business were recognised for their commitment to the company's values: Respect, Integrity, Teamwork, and Accountability, as well as measures they have promoted to improve safety, cost and productivity. The winners were selected from more than 80 nominations received from their teammates, leaders and colleagues. Award winner Unubold Batjargal said "While it's amazing to be recognized in this way, Oyu Tolgoi is a team effort, with thousands of people pulling in the same direction. We're proud of what we do, and it wouldn't be possible without each and every one of us." Winner Erdenechimeg Radnaa added "I've been with Oyu Tolgoi for four years and this is an incredibly proud moment. As a company, we've grown from nothing into a great team of people running a safe and effective operation. I'd like to dedicate the award to my teammates who are so committed to the success of this project and contributing to the nation's prosperity." Congratulating the award winners at a ceremony at Oyu Tolgoi site, Andrew Woodley said: "Every day, across our workforce, I see an inspiring level of commitment, strong values and amazing initiative and creativity. I have lived in many countries around the world, and, without doubt, the people at Oyu Tolgoi are among the best I have had the honour of working with. Our nominees and winners represent the best in global mining." At Oyu Tolgoi's previous employee recognition ceremony in September, two winning projects went on to be selected for top prizes in Rio Tinto's global Copper and Coal employee awards. April 15 (gogo.mn) The cars will be limited by odd and even numbers on April 21 and 22 due to The Asia-Europe Parliamentary Partnership (ASEP) meeting will take place. Apr 22nd license plates ending with EVEN numbers will be limited to take part in traffic. April 15 (news.mn) In order to save clean water, Ulaanbaatar streets are being washed with domestic and industrial water which has already been used – this is technically known as "greywater". Special purpose street sweeper vehicles are using greywater from the Coca-Cola factory to clean the city's streets and squares. Chinggis Sqaure is being cleaned with the greywater every Tuesday and Thursday, at 08.00-10.00 am. Depending on the traffic, roads are normally washed during the night time. The street sweeper trucks wash Ikh Toiruu, Baga Toiruu, Narnii Zam, Peace Avenue and Chinggis Avenue between 23.00pm and 06.00am. UB's summer flowers and gardens: too much to spend? In 2013, MNT 4.8 billion was budgeted for gardening and floral displays; in 2014 this rose to MNT 5.8 billion in 2014 and last year it stood at MNT 6.5 billion. The critics can, of course note, that this year's budget is almost a billion less than in 2015. ULAN BATOR, April 14 (Xinhua) -- Mongolia and Russia signed an agreement on Thursday, mapping out medium-term relations between the two countries. Russian Foreign Minister Sergei Lavrov and his Mongolian counterpart, Lundeg Purevsuren, signed the document, which covers economy, finance, law and other fields. Mongolian President Tsakhiagiin Elbegdorj praised the agreement, saying it would bring bilateral friendly relations and cooperation to a new level. The two sides also reaffirmed their commitment on the China-Mongolia-Russia economic corridor project. Leaders of the three countries may reach an agreement on the construction of the economic corridor during this year's Shanghai Cooperation Organization summit, Lavrov said. Lavrov will travel on to Japan and China after a one-day stop in Ulan Bator. Lavrov is the first Russian foreign minister to visit Mongolia in a decade. Russia and Mongolia are discussing the possibility of a ruble loan for Ulaanbaatar, Russian Foreign Minister Sergei Lavrov said on Thursday. ULAANBAATAR, April 14 (Sputnik) – Lavrov, who is currently paying an official visit to Mongolia, met with his Mongolian counterpart Lundeg Purevsuren in the country's capital, Ulaanbaatar, on Thursday morning. "Now we have no legal obstacles to resume credit relations between Russia and Mongolia, such a possibility is currently under discussion," the Russian foreign minister said after the meeting, when asked about the possibility of Russia providing a ruble loan to Mongolia. According to Lavrov, the two countries' central banks are holding parallel talks on swap operations. Earlier this year, Russian President Vladimir Putin ratified a law to write off Mongolia's $174-million debt to Russia. The debt was a major hurdle for deeper cooperation between the two countries. On Thursday, Lavrov signed a medium-term program for the development of Russia-Mongolia strategic partnership. "Our ties are complemented by trilateral cooperation in the Russia-Mongolia-China format. At a meeting in Ufa in July 2015 the heads of state endorsed a 'road map' of trilateral cooperation and now the Working Group is finishing work on the program of creating a Russia-China-Mongolia economic corridor," Lavrov said. The Russian foreign minister is also set to meet with Mongolian President Tsakhiagiin Elbegdorj and Prime Minister Chimed Saikhanbileg during his visit to Ulaanbaatar. ULAN BATOR, April 14. /TASS/. Russian Foreign Minister Sergei Lavrov on Thursday has baun his official visit to Mongolia with a meeting with his counterpart Lundeg Purevsuren. The sides will discuss current regional and global problems, key issues of bilateral cooperation in various multilateral formats. Later in the day, the Russian foreign minister will also meet with Mongolian President Tsakhia Elbegdorj and Prime Minister Chimed Saikhabbileg. He is also expected to speak to representatives of political and academic circles. The visit will be crowned by the signing of the medium-term program of the development of strategic partnership the two countries leaders agreed upon in September 2014. "The document has a comprehensive character and is geared to overcome problem issues in bilateral economic ties that have piled up in the recent years, to further expand cooperation in the political, trade-and-economic, humanitarian and international spheres," the Russian foreign ministry said. Russia hails Mongolia's readiness to take part in the settlement of regional problems, Russian Foreign Minister said. "I am glad to have an opportunity to be in Ulan Bator again. I was here on a visit ten years ago and have twice visited Mongolia as a member of the Russian president's delegation," he said. "The rich experience of our cooperation rests on close ties in the economic and humanitarian areas." He said the agenda of the talks will include and exchange on view on bilateral projects. "We will exchange opinions on international affairs too," Lavrov noted. "We hail Mongolia's growing interest in taking part in settling problems of the region." The Mongolian foreign minister said Lavrov's visit in the year of the 95th anniversary of diplomatic relations between the two countries has major historical significance. "Your visit will give an impetus to the development of our strategic partnership. We see new possibilities for the development of relations," Purevsuren said. April 15 (gogo.mn) Yesterday, the President of Mongolia Tsakhiagiin Elbegdorj has met with the Minister of Foreign Affairs of the Russian Federation Sergey Lavrov at the President's Residence in the Ikh Tenger Complex. The President of Mongolia said that he welcomed Mr. Sergey Lavrov at his Residence as a close friend and greeted with khuurug /snuff bottle/ due to Mongolian tradition. President Elbegdorj appreciated Minister of Foreign Affairs for visiting Mongolia and underlined that Mongolia maintained good-neighborly relations with Russia to date. He also noted that this year marks the 95th Anniversary of the establishment of diplomatic relationship between Mongolia and the Russian Federation and the 400th Anniversary of the first Russian Ambassador came to Mongolia. President Elbegdorj noted: "I am glad that Russia and Mongolia signed a Medium-term Program for the development of strategic partnership between the two countries. This document would be the base for the bilateral friendship and cooperation in the new century and in the new circumstances. This document will open new opportunities for our two countries to cooperate in economic, financial, legal, and other spheres. The people of Russia have always been with us. We are truly pleased that you are visiting our country and the President's Residence". Minister of Foreign Affairs of the Russian Federation Sergey Lavrov said: "I am pleased to be welcomed at the President's Residence and I regard this as a great respect for us. Today, we have signed a Midterm Program to develop Russia-Mongolia strategic partnership. This document would play significant role in strengthening the mutual friendly, traditional relationship. Our two countries enjoy historic relations. The people of Russia should not forget the assistance and support of Mongolia during the Great Patriotic War". April 15 (gogo.mn) Prime Minister Ch.Saikhanbileg received yesterday the Russian FM S.Lavrov who is paying official visit to Mongolian at the invitation of Mongolian FM L.Purevsuren. 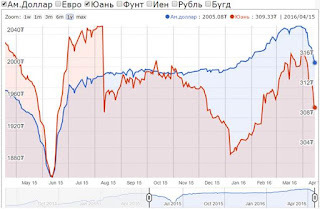 In the past 2 years, Mongolian-Russian trade and economic cooperation saw some improvements. Prime minister Ch.Saikhanbileg thanked the Russian side for supporting biliteral relations in all aspects and expressed his satisfaction on the establishment of medium-term strategic partnership development programme between two countries. Collaborative implementation of this programme will bring our cooperation closer and broaden economic relations, Primer Minister emphasized. During this meeting, sides discussed about an agreement which Russia ratified on regulating financial responsibilities of Mongolia to Russia opened new opportunities to develop finance and credit cooperation. Prime Minister expressed an interest to negotiate SWAP agreement between the Central Banks of the two countries and to use national currencies in biliteral trade. Mr. Saikhanbileg proposed to establish intergovernmental agreement on railway transportation of transit freight with soft term through Russian territories during an upcoming trilateral meeting of the Mongolian, Russian and Chinesen Presidents in Tashkent, Uzbekistan. And he gave news about the Eg River hydropower station project. The Prime Minister underlined Russian Buryatia has become a leading retailer in the country after both countries became visa-free, and asked the Russian side to provide favorable term in to support Mongolia in advertising Mongolian goods and in organizing fairs in Irkutsk, Ulan-Ude, Kyzyl, Chita and Gorno-Altaisk cities. In response, Russian FM S.Lavrov informed Russia is taking liberalisation measures on Mongolian goods when they enter Russian market, and said he will oblige related officials to take actions for organizing fairs and workout soft terms support. Russia will also back Mongolia's initiative on establishing a cooperation memorandum with the Eurasian Economic Union, and his government intends to establish intergovernmental agreement on the regional and border area cooperation, Mr. Lavrov said. During the meeting, both sides agreed to continue the cooperation in making Mongolia-Russia joint factories and companies even more fruitful. Present at the meeting were N.Battsereg, the Minister of Environment, Green Development and Tourism; D.Zorigt, the Minister of Energy; D.Gankhuyag, the State Secretary of the Ministry of Foreign Affairs; B.Delgermaa, the Ambassador of Mongolia to Russia; and D.Odkhuu, a director of the Eg River hydropower station. This year's Shanghai Cooperation Organization (SCO) summit in Uzbekistan may consider the creation of a Russia-Mongolia-China economic corridor on the sidelines, Russian Foreign Minister Sergei Lavrov said Thursday. ULAN BATOR, April 14 (Sputnik) – The Uzbek capital of Tashkent hosts the six-member military, economic and political alliance's next summit on June 23-24. "We consider it important to make efforts to implement the 'roadmap' of cooperation between the three countries, as well as the rapid completion of the program to create the economic corridor between Russia, Mongolia and China, which could be put to the approval of the leaders on the sidelines of the SCO summit," Lavrov said in a speech at the Mongolian Foreign Ministry. The heads of three states endorsed a roadmap of trilateral cooperation at a meeting in the Russian city of Ufa in July 2015. Lavrov said earlier on Thursday that its working group was finalizing the program for the establishment of the economic corridor. TEHRAN, Apr. 16 (MNA) – An NIOC official announced Iran and Mongolia have resumed negotiations on Iranian crude oil sales to the East Asian country through China's route. Seyyed Mohsen Ghamsari, Executive Director for International Affairs at National Iranian Oil Company (NIOC), touched upon the latest status of talks between Iran and Mongolia over crude exports saying "Mongolia marks a newly-emerged market for the sale and export of Iran's oil." Ghamsari pointed to the recent Mongolian foreign minister's visit to Tehran and the proposal of purchasing Iranian crude asserting "Iran perceives no limitations on oil sales to Mongolia." The official stressed that Mongolia is a landlocked sovereign state in East Asia eliminating the possibility to use marine routes for oil transportation. He deemed China as one possible route for exporting Iranian crude to Mongolia; "negotiations are being held with Mongolian officials in order to finalize the oil export path through China." During the earlier meeting with Mongolia's Minister of Foreign Affairs Lundeg Purevsuren, Iranian Oil Minister Bijan Zanganeh had emphasized the possibility of exporting 50 to 60 thousand barrels of Iranian crude oil to the East Asian country via Chinese companies. April 13 (gogo.mn) Ulaanbaatar, 12 April 2016: A new job creation project entitled "Support to employment creation in Mongolia (SECiM): Piloting quality private sector work in selected livestock and vegetable value chains" is being launched today jointly by the Government of Mongolia and the European Union. The project, with a budget of EUR 4.15 million (MNT 9.48 billion) will run between 2016 and 2019 and will be implemented by the UN agencies - Food and Agriculture Organization (FAO) and UN Industrial Development Organization (UNIDO). The Ministry of Food and Agriculture of Mongolia is the main counterpart for this project which will further strengthen other EU-funded projects: Mongolia's Technical and Vocational Education and Training Sector and the Modernization of Mongolia's Standardization System. The Statement of Common Purpose was signed on the occasion of the opening ceremony by Minister of Food and Agriculture, Radnaa Burmaa, European Union Ambassador to Mongolia, Hans Dietmar Schweisgut, and Deputy Assistant Director General of FAO Regional Office for Asia and the Pacific, Vili Fuavao. The project will focus on decent employment creation through improving competitiveness and greening of meat, dairy, vegetable, fibres and leather sectors. A key tool for assessing these sectors will be value chain analysis, including supply chain and economic analysis, to identify and unblock key bottlenecks. Value chain analysis under the project will include assessments of chain actors and their relationships, current technological gaps, job conditions, human resource capacity, policies, international competitiveness and other aspects. Each commodity has a production phase, marketing phase and "bit in the middle" for storage, transport, processing, packaging and other commodity specific actions which correspond to various actors in the chains. The project goal is to create over 3,000 new job positions at city, aimag, soum and herder/farm/ household level, including youth and women and aims to contribute to inclusive and sustainable development in Mongolia through the promotion of quality employment focusing on the livestock and agriculture sector and to strengthen conditions and capacity of private sector employment. The SECiM action will be pivotal in promoting expanded production of quality products while safeguarding decent employment based on inclusive economic, social and eco-friendly value chain models. The agriculture and food sectors are hugely important to the economy as well as the social make-up and ecology of Mongolia. Agriculture employs 35 percent of the total labor force and more importantly, it accounts for over 70 percent of employment in rural areas. The livestock sub-sector accounts for almost 10 percent of export earnings and approximately 80 percent of total agricultural production. The agriculture and food sectors offer the best opportunity to grow inclusive employment. Agriculture is expected to create the newest jobs until 2022 (Ministry of Labor, 2014). There is a clear need to match the agro-industry's increasing demand for a skilled 'employable' workforce with 'decent work' opportunities. New green jobs are expected to reduce environmental impacts of added-value products while providing diversified income sources to diverse stakeholders. The key stakeholders of the project will be other line ministries, including the Ministry of Industry, Ministry of Labour, governmental agencies (e.g. General Agency for Specialized Inspection, Mongolian Agency for Standardisation and Metrology), local governments and support institutions and services, research institutions, think tanks, academic and vocational training institutions, business/trade associations, including chambers of commerce, employers federations and trade unions, and private sector companies and public institutions operating and involved in the five value chains. Ulaanbaatar, April 15 (MONTSAME) The Mongolia's Ministry of Foreign Affairs held on April 11 the 3rd meeting of the permanent consultative working group with the People's Government of China's Inner Mongolian Autonomous Region. Co-chaired by D.Gankhuyag, the State Secretary of the Foreign Ministry of Mongolia; and Yun Guangzhun, a Deputy Head of Inner Mongolian Autonomous Region, the consultative meeting touched upon some 40 issues submitted from the Mongolian side, and over 20 issues--from Inner Mongolian Autonomous Region. The sides exchanged views on the cooperation in the areas of trade, economy, science, technology, health, tourism, agriculture, industry, environment, infrastructure, road, transportation and border checkpoint. The sides underlined that the relations and cooperation between Mongolia and the People's Republic of China have been intensively developing recent years, and many important events have taken place in the ties. They expressed their willingness to collaborate in measures reflected in a programme on establishing a trilateral economic corridor among Mongolia, China and Russia, correlating them with the Mongolia's "Steppe road" project, China's initiative called "Economic region of Silk Road" and the Russia's Eurasian Economic Commission (EEC). Moreover, the parties shared views on construction works of joint projects on railways and paved-roads and on collaboration in border checkpoint. They discussed matters on E-commerce, forestry, rehabilitation of farmlands and use of pasture lands, and then concurred to exchange experiences in these issues. At the end of the meeting, the sides expressed hope that the permanent consultative mechanism between Mongolia and Inner Mongolian Autonomous Region will immensely contribute to the Mongolia-China cooperation in the trade, economy, science and technical spheres. Ulaanbaatar, April 15 (MONTSAME) The Ambassador Extraordinary and Plenipotentiary of the Lao People's Democratic Republic (LPDR) to Mongolia Mr Sialungon Seng-Uton Friday presented his diplomatic credentials to the President Ts.Elbegdorj. At the meeting after the presentation ceremony, Mr Sialungon expressed his satisfaction with being appointed as the Ambassador to Mongolia, and said he will do all his best to boost the Mongolia-Laos traditional friendly relations. Talking about forthcoming parliamentary election of Mongolia and the 11th ASEM Summit in Ulaanbaatar, Mr Sialungon emphasized that he became the Ambassador to Mongolia in coincidence of these biggest events, and underlined a vital role of his position in keeping the traditional cooperation in economy, trade, agriculture and education. In response, the President Mr Elbegdorj wished big success to the newly-appointed Ambassador of Laos. Ulaanbaatar, April 13 (MONTSAME) In frames of a goal to have diplomatic relations with all members of the United Nations, Mongolia established such ties with the Federation of Saint Kitts and Nevis this April 12 in London of UK. The joint statement on the establishment of these relations has been signed by Mr N.Tulga, the Ambassador Extraordinary and Plenipotentiary of Mongolia to the UK, and by Mr Kevin M.Isaac, the High Commissioner of Saint Kitts and Nevis to the UK. With the mutual aspiration to develop the bilateral friendly relations and cooperation, the two countries have concurred to adhere to the UN Charter, the Vienna Convention on Diplomatic Relations, to principles and norms of international laws. The two countries have agreed that this step will enable them to support each other within bilateral and international organizations, to boost a fruitful collaboration in economy, investments and tourism, and to exchange experiences. Ulaanbaatar, April 13 (MONTSAME) A head of the Monitoring and Internal Audit Department of the Ministry of Health and Sport S.Togsdelger has addressed a plenary meeting of the 49th session of the Commission on Population and Development. The measure kicked off this April 11 in New York of USA under a theme "Strengthening the demographic evidence base for the post-2015 development agenda". Ms Togsdelger said the session of the Commission on Population and Development and the Millennium Development Goals (MDGs) played a vital role in fortifying a potential to work out and implement a policy on population development, becoming a basic source for designing new goals for sustainable development at a national level. Based on its experience in formulating reports on the MDGs, Mongolia is actively working on fixing national and thematic criteria for sustainable development, Togsdelger went on. A strengthening of the demographic evidence in development policy and statistical potential is very important when implementing the post-2015 development agenda, she stressed. To continue until this April 15, this session is to discuss methods of the Commission on Population and Development as well as agendas for the next session. April 15 (KBS) Seoul National University said Friday that a team at the school conducted surgery on Mongolian children and transferred related technology to Mongolian medical staff. The team, led by Professor Kim Woong-Han at the JW LEE Center for Global Medicine at Seoul National University College of Medicine, has operated on 13 children suffering from congenital heart disease since late last month. The team examined 124 patients in Mongolia using ultrasound and selected 13 of them suffering the most serious conditions. Twenty local doctors and nurses also took part in the operations. Since last year, the JW LEE Center for Global Medicine has joined with Raphael International on a project to strengthen surgical capabilities in Mongolia regarding children's heart operations. Since 2008, Raphael International has invited 90 Mongolian children born with heart ailments to South Korea for operations. Forty-four more children have undergone surgery in Mongolia since 2013. Ulaanbaatar, April 15 (MONTSAME) The United Nations Population Fund (UNFPA) and the JCI Progress have launched a two-year partnership for a youth development initiative entitled "1,000 Active Citizens". A Memorandum of Understanding (MOU) was signed on Friday by Ms Naomi Kitahara, UNFPA Representative to Mongolia and Mr Batzaya Bodikhuu, 2016 President of JCI Progress. The MOU formalizes the collaboration between JCI Progress and UNFPA, specifically in line with its Youth Development Programme, to deliver skills training and project planning workshops to the youth in underserved communities, and to provide coaching, mentoring and other support in the implementation of youth-led small projects. Both UNFPA and JCI Progress recognize that the youth are a decisive factor in the development of the country, and that it is important that they are able to fulfill their potential. "Mongolia has the largest number of young people in history. Whether their human rights are fulfilled, and their well-being is ensured will be a key determinant in the development of the country, which is at the heart of the UNFPA mandate", says UNFPA Representative Naomi Kitahara. The project aims to engage up to 1,000 young people ranging from the ages of 15 to 34, including those from marginalized circumstances, and help set them on the path to becoming active, productive and self-reliant individuals. "JCI members are engaged and committed to creating impact in their communities. This project is one of the most impactful projects to empower the youth of Mongolia." says Batzaya Bodikhuu, 2016 President of JCI Progress. JCI Progress members will facilitate training on financial literacy, entrepreneurship, business and personal development, guide proposal writing skills and processes, and provide valuable coaching, mentorship and networking support during the implementation of small projects by the youth participants. Workshops participants are expected to form teams and work together to conceive, plan and implement feasible projects with tangible and measurable results for themselves, their families or their communities. The project will be implemented in Youth Development Centers (YDCs), which were established through the Youth Development Programme jointly implemented by the Government of Mongolia and UNFPA with financial contributions from Swiss Development Cooperation, Government of Luxembourg and UNFPA. These are the YDCs in the Darkhan-Uul and Orkhon aimags; the Bayangol, Chingeltei and Khan-Uul Districts of Ulaanbaatar; and eventually other rural aimags for the 2nd year of the program in 2017. Ulaanbaatar, April 13 (MONTSAME) A ceremony took place Tuesday at the Mongolian State University of Education (MSUE) to open a joint project on training and scientific works. It will be co-implemented by the MSUE and the German Ruhr University Bochum. With 12 schools, the MSUE prepares teachers for six foreign languages, including English, Russian and German. In frames of the project, a German language workshop will be held by teachers and students' exchanges, and the universities will collaborate in scientific works on Mongolian history, culture, in developing and introducing innovations. Present at the above ceremony were Gerhard Thiedemann, the Ambassador Extraordinary and Plenipotentiary of the Federal Republic of Germany to Mongolia; Dr D.Monkhjargal, a rector of the MSUE; Prof. J.Batbaatar, a director of the School of Sociology and Humanity; also Dr Katrin Pittner, Dr. Hans-Rudiger Fluk, Dr. Daniel Heindel; and managers of the project. April 15 (Huffington Post Canada) Adidas sneakers may be a favourite of It-girls like Gigi Hadid and Kendall Jenner, but it looks as though some other very stylish women were rockin' them 1,500 years ago. Archeologists found a female's remains on the Mongolian side of the Altai Mountains, sporting what appears to be a pair of Adidas kicks. The 1,500-year-old mummy's feet were wrapped in footwear featuring three stripes, what the German sportswear brand is known for. April 13 (CBS News) When Palani Mohan was a 17-year-old cadet photographer working for the Sydney Morning Herald in Australia, he saw a very powerful black and white photo of a man holding a golden eagle standing atop a mountain. It was the first time he had ever heard of the Kazakh golden eagle hunters of Mongolia's Kazakh mountains. The hunters have lived high up in the Altai Mountains, where the remote landscape is stark but beautiful and the winters brutal, for hundreds of years. The memory of that image stayed with him. Mohan said that many decades later, while living in Hong Kong, he received a "junk email" from Mongolian airlines, touting flights to Ulan Bator, Mongolia's capital. The photographer decided to head to the far reaches of western Mongolia, not really knowing what he wanted to do -- just that he wanted to make some portraits. "I finally got to a very remote part of Mongolia where these guys lived," Mohan said. "As soon as I got there, I realized it was a much bigger story than just portraits of these guys. The story was that the real eagle hunters, so-called eagle hunters, were getting old and each winter claims a few more." A single photo had captured Mohan's imagination enough to seek out the hunters, and he didn't realize they represented a disappearing culture. The Indian-born Australian photographer was told there were about 60 of the eagle hunters left. That motivated him to try to photograph all of them, sowing the seeds of a photographic odyssey. But he had no idea what he was getting himself in to. "It was by far the hardest thing physically that I've ever done as a photographer because it was minus 40 (Celsius)," he said. "I hate the cold. Totally hate the cold....gear was collapsing all the time. I was missing pictures all the time." Still, he kept going back for four years until he thought he had met all of the surviving eagle hunters. The result of that commitment is a series of incredibly compelling and beautiful black and white images printed in a book by Merrell, "Hunting with Eagles: In the realm of the Mongolian Kazakhs." The photos capture the dignity and independent nature of the hunters, known as burkitshi, their intensely close relationship with the eagles and the rugged landscape they inhabit. As Mohan writes: "The hunters all had stories about how they loved their birds even more than their wives." The hunters go in search of young female eagles, about four months old, who have had some experience in the wild and with hunting, but can be trained to live with people. They are only kept about 10-15 years after their capture and then released -- granted their freedom. The bond is so strong that the eagles often return. For the hunters, Mohan believes the eagle "encapsulates the open space, the wind, the harshness, the isolation and the freedom of living on the edge of the world." View photos from "Hunting with Eagles: In the realm of the Mongolian Kazakhs" in the gallery above. Palani Mohan's book is available for sale by on Merrell's website and fine prints are for sale on the photographer's website, palanimohan.com. Mongolia's Parliament declares Tost a State Protected Area. The mountain range is home to a stable, breeding population of snow leopards. April 14, 2016 – Ulaanbaatar, Mongolia / Seattle, WA (Snow Leopard Trust) The Great Ikh Hural, Mongolia's parliament, has approved a proposal to turn the Tost Mountains, a prime snow leopard habitat in the country's South Gobi province, into a Nature Reserve, one of four categories of State Protected Areas under Mongolian law. Under this designation, only traditional economic activities such as livestock grazing that aren't harmful to nature will be allowed, while mining, construction, and hunting will be prohibited. The Snow Leopard Trust would like to express its gratitude and appreciation to the Mongolian parliament, and in particular to Members of Parliament Erdenchimeg Luvsan and Oyungerel Tsedevdamba, who led a Parliamentary delegation with 5 fellow members who championed the proposal. We would like to congratulate the local government at Gurvantes and the provincial government of South Gobi – and most of all Tost's local communities, who have championed the idea of protecting this important snow leopard habitat for many years. "This is a huge step forward for the protection of the endangered snow leopard in this part of its range", says Charu Mishra, the Snow Leopard Trust's Science & Conservation Director. "This Nature Reserve will be a bridge between two existing Protected Areas, the Great Gobi and the Gobi Gurvansaikhan National Park. The resulting landscape will be one of the world's largest continuous protected snow leopard habitats." Under Mongolian law, the government will now appoint a working group, consisting of members of several relevant government agencies and public sector partners, to work out the specifics of the new National Park, including its precise boundaries. The Government has 60 days to complete this task. "Within the 8163 square kilometers that are being considered for the National Park, there are currently around 12 licenses for mining exploration, and 2 active mining sites", says Bayarjargal Agvantseeren, the leader of Mongolia's Snow Leopard Conservation Foundation and Director of SLT's Mongolia Program. As mining activities won't be permitted within the park boundaries, the working group now has to come up with a solution for the land affected by mining licenses. The licenses can either be revoked, in which case the companies holding them would be compensated, or the licensed land be kept out of the National Park. To protect the ecological integrity of the area, it would be important to revoke licenses that fall inside the boundary. Tost is the site of the world's most comprehensive long-term snow leopard research study, being conducted by the Snow Leopard Conservation Foundation, Snow Leopard Trust, and the Mongolian Academy of Sciences since 2008. The conservation organization Panthera was also a partner in the study until 2012. In this study, scientists have so far tracked 20 snow leopards with GPS satellite collars, gaining unprecedented insights into the behavior and ecology of these cats, and monitoring wild snow leopard cubs in their dens for the first time ever. Remote-sensor camera data collected over a span of five years has shown Tost's snow leopard population to be stable and reproducing, with at least 12 adult cats using the area at any given time. Given the importance of this ecosystem both to the endangered snow leopard and the local pastoral community,the Snow Leopard Conservation Foundation and local people began making efforts for its protection in 2008. In 2010, the community achieved a major breakthrough, as both the provincial and central governments agreed to give Tost and Tosonbumba the status of a Local Protected Area. This offered some level of protection from further expansions of mining in the area, but could not guarantee the ecosystem's long-term future. Our team recognized this early on, and began working with the local community and leadership toward achieving State Protected Area status in 2012. Now, 4 years, this collective effort has paid off, and Tost should remain a safe haven for snow leopards. The good news comes on the heels of a tragedy of immense magnitude: In 2015, we lost our friend and colleague Lkhagvasumberel "Sumbee" Tomorsukh, who dedicated his life to studying and protecting snow leopards and other wildlife of Tost. An investigation into his death is ongoing. "Sumbee lived for Tost and its snow leopards. If he were among us today, he'd be the happiest person on earth. The new Nature Reserve is a fitting tribute to this amazing young man", says Bayarjargal Agvantseeren. April 13 (news.mn) In the Gobi there are rock carvings and images of the numerous animals which used to live in this part of Mongolia – some of which, such as deer, are endangered species. Monday 11th April, the day when the new crescent moon hung in the sky was deemed an auspicious day. Many Mongolians believe it is good to start new ventures on such a day; among them "Erdenet" LLC, which organized the relocation of four male and six female deer to the mountain in the "GoviGurvanSaikhan" (Three Beauties of the Gobi) national park. Before the new arrivals, only two deer remained. Member of Parliament D.Bat-Erdene, the head of the Umnugovi (South Gobi) Provincial Civil Assembly, L.Batchuluun, Deputy Governor D.Natsagdorj the General Director of Erdenet LLC Ts.Davaatseren and local people participated in the ceremony marking the arrival of the new deer. The local provincial administration has worked hard and done much to solve the urgent and practical issues to ensure a future for the deer population in the national park. One such action was giving a "Jawa" motorcycle to deer-herder Mr D.Bum, who will be responsible for taking care of the new herd of deer in this special and beautiful part of Mongolia. April 15 (National Post) One imagines Nicolas Cage has a number of skeletons in his closet. One does not necessarily imagine they belong to dinosaurs. Or does one? In fact, the eccentric actor's publicist confirmed in December that he had purchased an 81-centimetre long Tyrannosaurus bataar skull that had been previously stolen. In a criminal investigation regarding the skull, Cage was fully cooperative, his publicist said, agreeing to return the national treasure. On Wednesday, a federal judge in New York approved its transfer to Mongolia. The skull was originally auctioned in Manhattan in March 2007 for $230,000 US. Prosecutors said it was looted from the Gobi Desert and shipped through Japan to Gainesville, Florida in June 2006 with a false customs label. In a chain of events worthy of a Cage film, the face (off) was then purchased with a certificate of authenticity by the actor at a Los Angeles-based gallery for $276,000 US, where it was also bid on by Leonardo DiCaprio. It has yet to be confirmed whether the skull contained an assortment of bees. April 15 (Judo Inside) At the first day of the Asian Championships in Tashkent in Uzbekistan, Kazachstan was successful with three gold medals. World Champion Yeldos Smetov proved he is still among the best fighters of the world and grabbed the title U60kg in the final against Diyorbek Urozboev from host nation Uzbekistan. The female lightweight Otgontsetseg Galbadrakh, formerly fighting for Mongolia is now taking part at the Olympics for Kazachstan. She switched due to the competition with Urantsetseg Munkhbat, who was her opponent in today's final. Galbadrakh defeated Munkhbat once again like in Paris and Duesseldorf this year. Mongolia did what was expected, taking two gold medals. With a strong team that is expected at the Olympic Games in Rio Mongolia won three categories at the first day, much better than last year with one medal. Korea that is leading in some categories in the World Ranking wasn't successful today with just a silver medal for Kim Jan-Di U57kg. Sumiya Dorjsuren of Mongolia was the expected winner U57kg. Korea's World Champion An Ba-Ul didn't fight although he is present. HRADUN, April 16 (Times of India): Mongolian rider Myagmarsuren Bassankhuu clinched the winning trophy in the 'overall category' of the second edition of 'The Ultimate Uttarakhand Himalayan MTB Challenge' which concluded in Mussoorie on Friday. In the closing ceremony held at a hotel on Haridwar bypass road on Saturday, Uttarakhand governor, K K Paul, distributed trophies and cash awards to the winners in overall and national category. A total of Rs 10.28 lakh was distributed among the winners of the race. Addressing the gathering, the governor said that he hopes such events boost tourism in the state. "As mountain biking is a popular form of adventure sports, such events would target biking enthusiasts, who can participate and show their skills. Our aim is to augment the reach at both national and international level." Congratulating the tourism department for organising the event, the governor, said, "What made this particular event more exhilarating was the show of latest technology and well-equipped bikes that sailed their way to the finish line." Thomas Thurner, professional cyclist from the US, stood second in the overall category while Byanjargal from Mongolia bagged the third position. Paddling his way through a fairly tough and challenging terrain, Indian Army cyclist PB Pradhan reigned supreme in the national category. Indian Army cyclists took the second and third position as well. Starting from Nainital, on April 8, around 81 elite cyclists, including 11 international participants, passed through beautiful landscape while bouncing, grunting and pedalling through a total distance of 628km of wilderness trails. The six-day cross country endurance race traversed through eight districts—Nainital, Almora, Chamoli, Rudraprayag, Tehri, Uttarkashi, Dehradun and Haridwar—testing the physical endurance and mental determination of the cyclists. Indicating the toughness and difficulty level of the race, they started out with 81 riders, out of which only 48 managed to complete the race. The foreign cyclists were from US, Canada, New Zealand, Mongolia, Sri Lanka and Nepal. Deliberating on the prospect of opening new vistas in the tourism sector, tourism secretary Sailesh Bagoli, said, "We want to encourage such activities that go beyond pilgrimage and traditional adventure sports. Mountain cycling provides us with that opportunity, and we wish to promote it to international level." He also said that the event will help in making Uttarakhand one of the most sought after places for mountain biking in the days to come. Ulaanbaatar, April 15 (MONTSAME) The 2016 Asian Youth Chess Championships successfully took place on April 6-15 in Ulaanbaatar city with participation of 470 players from Australia, China, India, Indonesia, Iran, Kazakhstan, Kyrgyzstan, Malaysia, New Zealand, Singapore, South Korea, Sri Lanka, Turkmenistan, United Arab Emirates, Uzbekistan, Vietnam, Yemen and Mongolia (host). Co-organized by the Mongolian Chess Federation (MChF) and the Asian Chess Federation (AFC), the competitions were held in categories of boy and girls' classic, rapid and blitz with age categories of under 6, 8, 10, 12, 14, 16 and 18 years old. As results of the competitions, the Mongolian team led the metal standing, grabbing 16 gold, 18 silver and 20 bronze medals. Mongolia won the blitz and rapid contests for the first time in the Asian Championships. Mongolia was followed by India that won eight gold, nine silver and nine bronze medals, and Vietnam (seven gold, four silver and six bronze medals). Other medal winning countries are Iran (5 gold, 2 silver, 2 bronze), Uzbekistan (4 gold, 3 silver, 2 bronze), Kazakhstan (2 gold, 3 silver), Kyrgyzstan (2 gold, 1 bronze), South Korea (1 silver) and China (2 bronze). Present at the closing ceremony were Ts.Sainbayar, the MChF president and member of the Executive Council of the World Chess Federation (FIDE); Risham Al Tahr, the Secretary of the ACF; D.Lundeejantsan MP; D.Jargalsaikhan, head of the Development Center of Physical Culture and Sports; Ts.Tsogtbayar, an executive director of the MChF; and other officials. April 14 (RealScreen) CBS Studios International has licensed the America's Next Top Model format to EduTV in Mongolia. The Mongolian edition of the reality competition will feature contestants battling for the Top Model crown over 16 episodes. The franchise has been licensed to more than 100 markets and 20 local versions of the format have been produced in countries including Vietnam, Poland and Germany. "The show is already creating a buzz among Mongolian models and modeling agencies, along with local audiences," said EduTV executive producer Khankhuu Galbaatar in a statement. "As it's the first time the series has been licensed in Mongolia, our team is putting in a great effort to make this franchise a success." America's Next Top Model debuted in the U.S. in 2003 and ran for 22 seasons before ending its run on The CW in December. In February, the franchise moved to Viacom-owned cable net VH1 for a 14-episode reboot. Although Tyra Banks will not host the new version, she will serve as executive producer alongside long-time Top Model executive producer Ken Mok. April 14 (news.mn) The unique type of Mongolian art is contortion and many professional contortionists from our country perform in circuses around the world. At present a project is underway to firmly put the art of Mongolian contortion into the World Guinness Records. In order to do this, it is planned to gather no less than 350 contortionists on Chinggis Square in Ulaanbaatar on 6th August 2016. As preparation for this event, auditions are being held in the capital and across the country. It is anticipated that soon the 350 selected contortionists will commence their joint training for the big day. April 13 (gogo.mn) We deliver you the ballets to be staged this month at the Mongolian State Academic Theatre of Opera and Ballet. Above opera and ballets will be performed at 5pm at the Mongolian State Academic Theatre of Opera and Ballet. April 13 (MONTSAME) The exhibition has been displaying some 100 historically important stamps and seals that have been selected from 1,500--used beginning from the Mongolian ancient times to the beginning of the 20th century for state and policy actions, such as stamps of a high-level military servicemen during Yuan Dynasty, seals related to diplomatic services, or used by a famous Lama in the last century. Visitors are attracted to many items including a stamp used by Marshal Kh.Choibalsan, a leader of the People's Republic of Mongolia, an impression of a hand-made seal with his name, his signature and a picture of horse. As known, state seals of the 13th century had Mongol and Dorvoljin scripts /"square-shaped script"/, while seals of Mongolian administrative units under Manchuria rule usually had Mongol and Manchu scripts. Since the restoration of independence in 1911, administrative organs of Mongolia started using seals with the Soyombo, Mongolian and Dorvoljin scripts. The Soyombo is still used. In connection with changing the state emblem of Mongolia by the Constitution adopted in 1940, seals became round-shaped, six years later, Cyrillic alphabet was introduced in seals. The "Mongol seals" exhibition will continue until the end of this month. The National Museum is planning to open other exhibitions such as "Mongolian heritage: Mongolian bow" in June and "Mongolian culture of horse" in July. April 13 (gogo.mn) In scope of issue ordered by the Ministry of Road and Transportation and CAA, technical preparation for flights between Ulaanbaatar to Hovd aimag have finished. MIAT to launch flights to Hovd aimag starting Apr 16. An average ticket prices for the flight is MNT 175,000. As of today, 50% of tickets for the first flight to Hovd aimag was sold. Moreover, passengers are allowed to carry up to 35 kg luggages. April 14 (gogo.mn) Mongol Nomadic camp is organising a mini version of Naadam Festival during the summer of 2016 for visitors. The event will give a more intimate experience and atmosphere of Mongolian Naadam, assure the organisers. Mongolian Naadam Festival consists of the Three Manly Games of the Mongols, namely, wrestling, archery and horse racing that nomads of Mongolia have practiced thousands of years. The Naadam is one of the 10 biggest festivals in the world along with Brazil's Carnaval, and India's Diwali. According to the organisers, from the moment that visitors set foot at the arena they will see and feel the Naadam, there will be traditional Mongolian "asar" tents set, Mongolian music played, and traditionally dressed locals everywhere as well as the Naadam competitors: wrestlers, archers and horse trainers and jockeys with their horses. All visitors will be greeted and welcomed to the arena to join the Naadam. The event will begin with a Mongolian long song & horse head fiddle performance as a tradition. Then 16 strong wrestlers will compete in the 1st round of wrestling competition, followed by the archery competition and afterwards a musical performance of local artists (Mongolian dances and songs). Ankle bone shooting competition will be held concurrently with the 2nd round of wrestling. Shortly after the ankle bone shooting competition, archers will perform archery showcase and spectators are welcome to try. Also a group of locals will perform traditions of moving with a Ger etc loaded on a yak cart, and they will join the Naadam later too. Horse racing will follow soon after the little jockeys sing Giingoo – a special song/mantra for race horses. The winners of the competitions will be awarded with sheep and other traditional gifts of nomads. And visitors have the opportunity to meet the competitors and take photos. Visitors also can make bets on the race horses and wrestlers. Khuushuur (Mongolian fried meat dumplings) will be provided to all ticket holders as the main food of Naadam Festival. Moreover, there will be lots of surprises such as performances and competitions including Beauty Contest on Horseback. WHEN IS THE EVENT: The Mongol Nomadic Naadam will be held on the following dates at 2-5pm. WHERE IS THE VENUE: Mongol Nomadic camp (50km from Ulaanbaatar to the west). HOW MUCH IS THE TICKET: 20 USD. Photos are courtesy of Mongol Nomadic Camp. (Co-founder of Premium Travel Mongolia LLC.